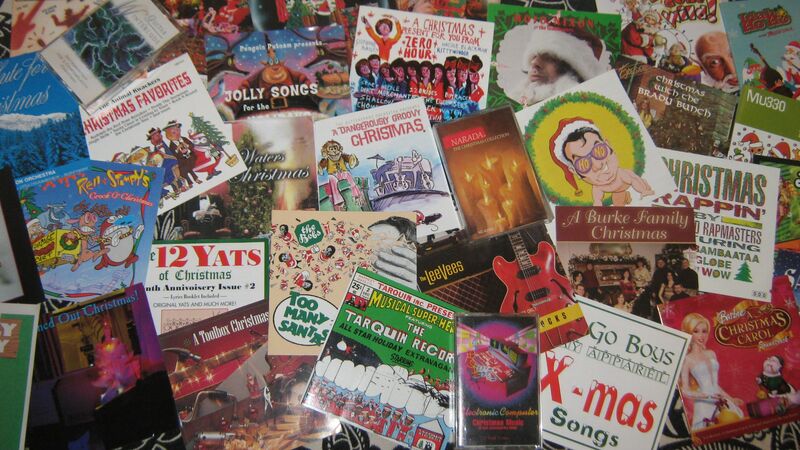 Let’s keep you in the mood with even more exciting Xmas tunes that’ll lift your pants. Allstarbandit elctro-Djs “Dirty Horney (Under the Misteltoe)” as a dance experiment in lusting up the joint. I give it a 7, Johnny: i don’t unnerstanem, but i can bump2it. “Horny at the Holidays” by dadaists Barnes & Barnes might cool your jets. Ironic eroticism is curious, but offputting. Santastic is a labor of love by DJs, mashup artists, and the like, sampling all the hits to recreate new experiences for you and yours at the holidays. Mousee T and The Dandy Warhols are spliced up for “Horny Christmas” as doctored up by Loo & Placido off the Santastic 6 album. It’s easier to just lissen up.